Read the full post at RTL-SDR.com. Many thanks to the excellent RTL-SDR.com site for posting this. I just purchased a Dreamcatcher board via this sale and the total with USPS shipping came to $45.05 US. […]Although we do replace or repair defective units, we are unable to provide refunds for any reason. […]Although this product can be used to receive the Outernet broadcast data channel, the availability of the broadcast is in no way guaranteed. If you purchase a Dreamcatcher board, in other words, purchase it because you’re fascinated with the hardware and other possible uses. Ultimately, Outernet plans to produce an all-in-one, solar-powered receiving station called the Lantern–I was an early backer, but I haven’t seen an update about the project in months. I do wonder what Outernet’s future looks like at this point. The folks at Outernet follow the SWLing Post–perhaps one of their representatives can comment with an update? This entry was posted in Deals, News, Software Defined Radio and tagged Outernet, Outernet Dreamcatcher, Outernet Lantern, RTL-SDR.com on October 29, 2017 by Thomas. I’ve been fascinated with radio astronomy since my university days. In the 1980s and 90s almost any radio astronomy experiment equated to forking out some serious money to purchase a wideband receiver (serious money to a student, at least). With the advent of SDRs, though, radio astronomy has become affordable for everyone. Click here to read at RTL-SDR.com. As Carl mentions above, you do not need a professional radio telescope to receive Jupiter noise bursts, a dipole will do. In fact, the Pisgah Astronomical Research Institute (PARI) has a dedicated Jupiter receiver–a simple SDR kit called the Radio JOVE Receiver which is promoted by NASA. While PARI has the resources to install any number of antennas, PARI uses two simple dipoles which are mounted only a few feet off the ground as their radio telescope. I doubt their investment in the antennas exceeded $50. It works brilliantly. 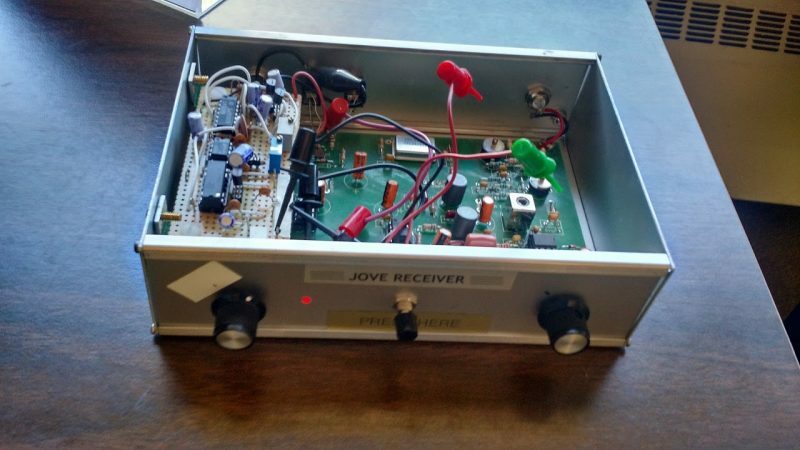 I had planned to purchase and build a JOVE receiver (and, for fun, still may! ), but it would be much easier to simply use the SDRplay RSP I already have in my shack. What a great project this fall. Post readers: Please comment if you’ve used an SDR or JOVE kit to receive Jupiter bursts! This entry was posted in Ham Radio, News, Software Defined Radio and tagged Jupiter, PARI, Radio Astronomy, Radio JOVE, RTL-SDR.com, SDRplay, SDRplay RSP on June 20, 2017 by Thomas. 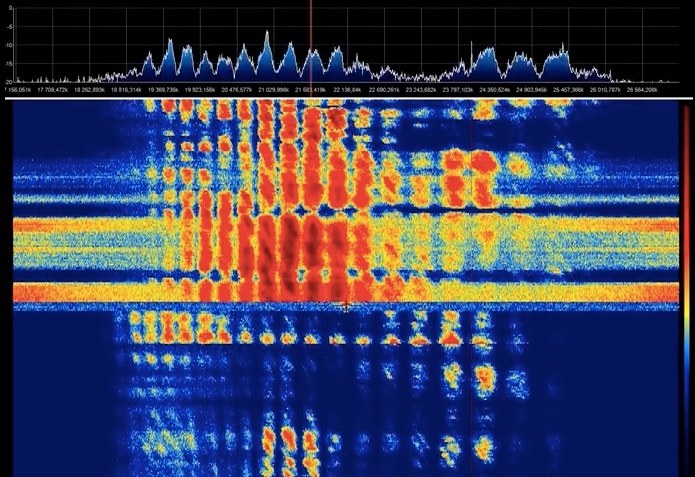 He began writing about them, and selling them, on his blog at www.RTL-SDR.com, and soon discovered that the little SDR receiver dongles could stand some improvement. So he designed ways to make them work better, and contracted a Chinese manufacturer to build them with his mods. That just about doubled the price, from $10 to about $20. Yeah, big deal. And we got him for a conversation with HamRadioNow’s KN4AQ and PhasingLine’s Chicken With Fries in the SIB back in Tent City. I got to meet Carl at the Hamvention this year–what a great guy and his website is certainly the best source of information about the RTL-SDR. I should note that I also met with contributor, Mike Ladd, in person at the Hamvention. Mike now works for SDRplay. This is one of the great things about gatherings like the Hamvention–it brings together so many people that you’d otherwise likely never meet in person! This entry was posted in News, Videos and tagged Carl Laufer, RTL-SDR, RTL-SDR.com on June 13, 2017 by Thomas.